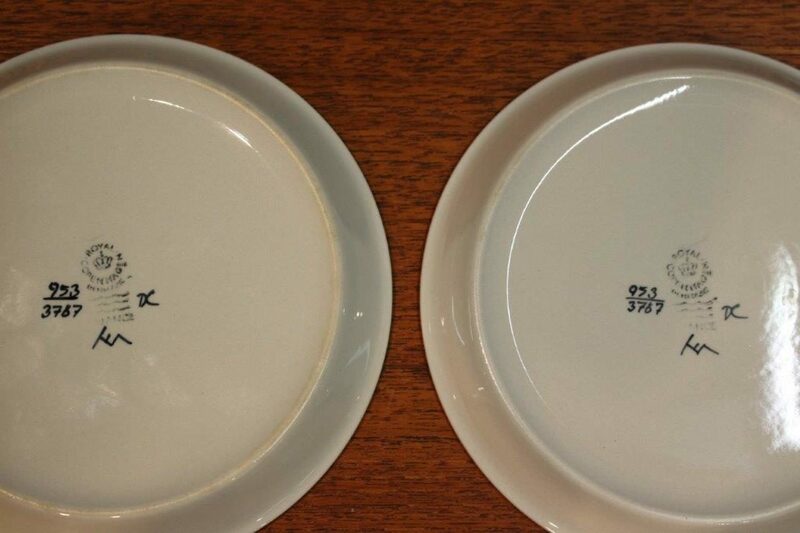 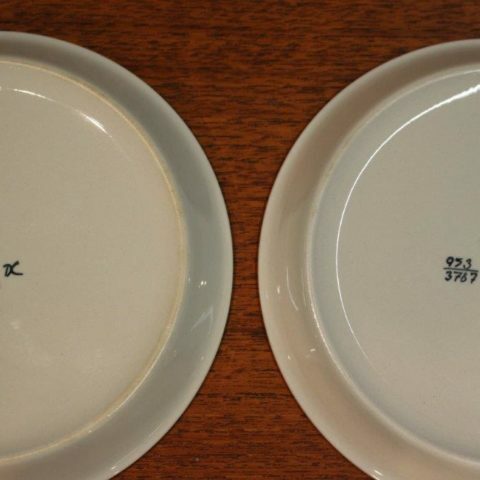 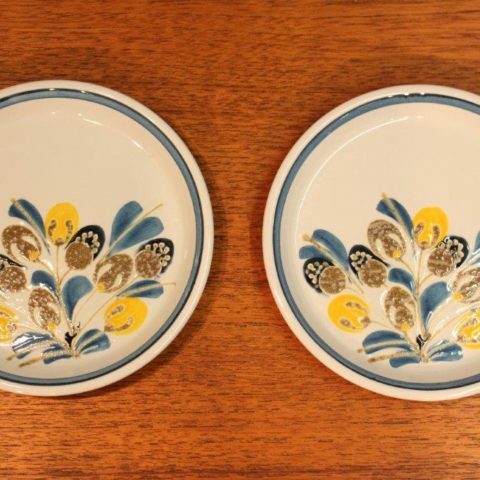 2 Royal Copenhagen Side Plates 953. 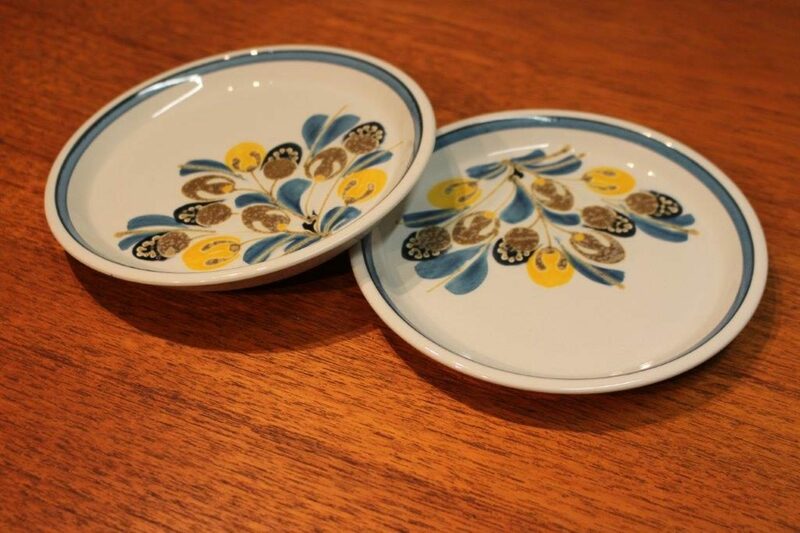 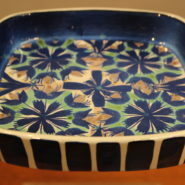 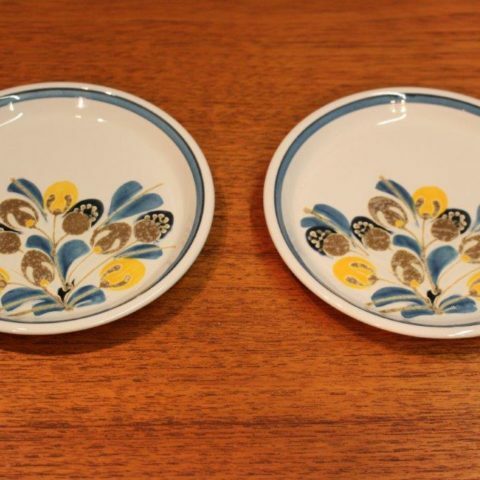 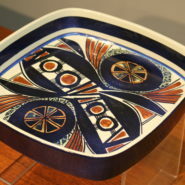 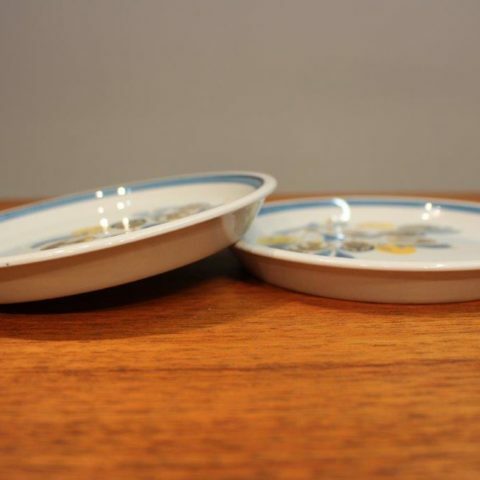 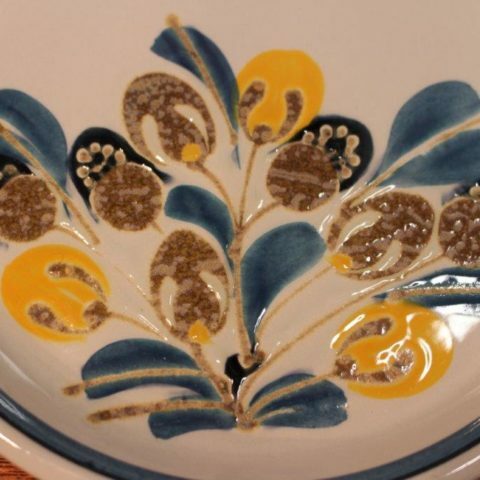 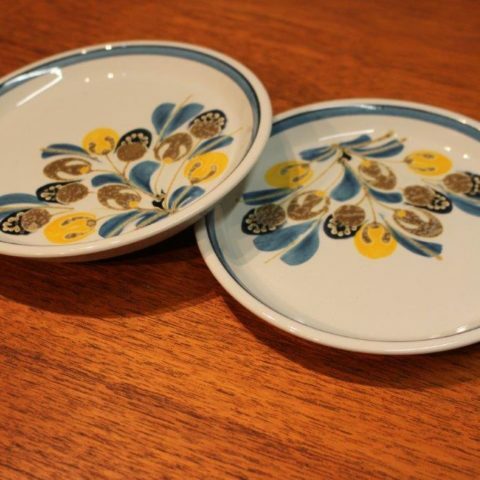 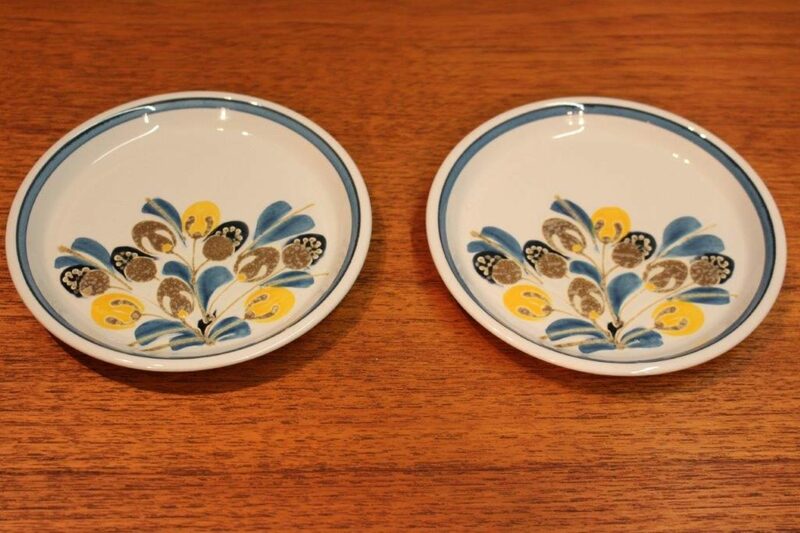 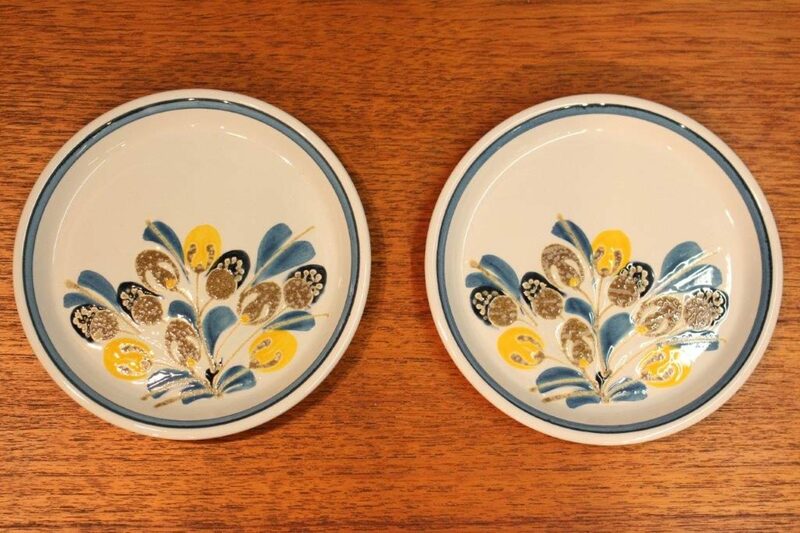 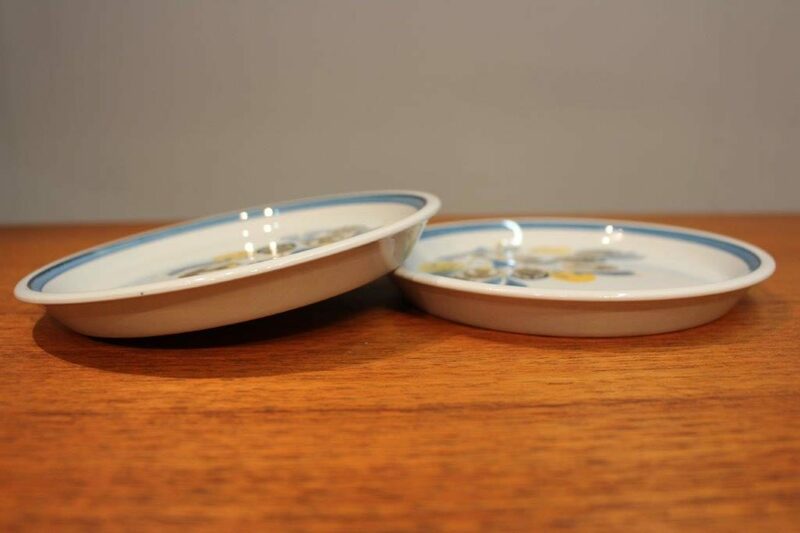 The Danish pottery company Royal Copenhagen are known for their distinctive designs, these plates were manufactured circa 1970 and the pattern 953 was designed by Ellen Malmer. 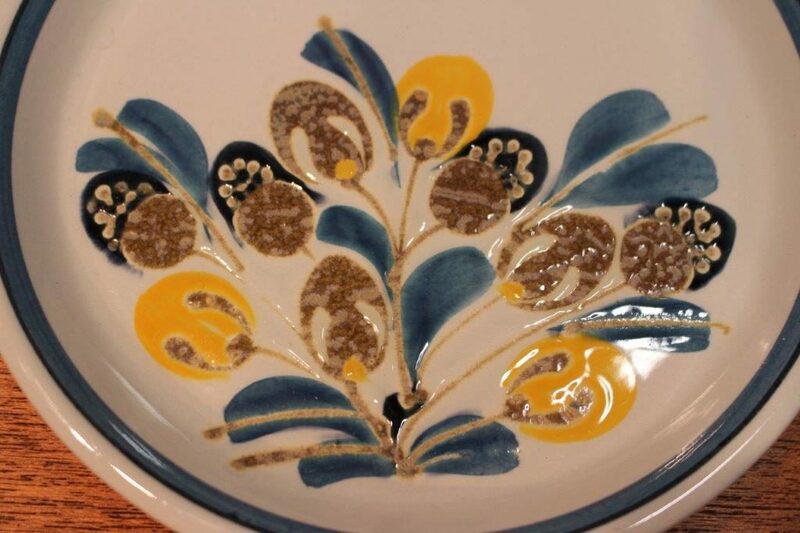 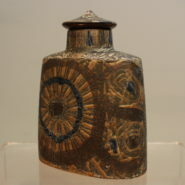 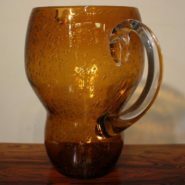 Attractive blue, yellow and biscuit colour floral design with a blue rim.